An earthquake will destroy a sizable portion of the coastal Northwest America. The question is when. Annals of Seismology JULY 20, 2015 ISSUE The New Yorker. Seismologists know that how long an earthquake lasts is a decent proxy for its magnitude. The 1989 earthquake in Loma Prieta, California, which killed 63 people and caused 6 billion dollars’ worth of damage, lasted about 15 seconds and had a magnitude of 6.9. A 30-second earthquake generally has a magnitude in the mid-sevens. 1 minute-long quake is in the high sevens, a 2-minute quake has entered the eights, and a 3-minute quake is in the high eights. By 4 minutes, an earthquake has hit magnitude 9.0. For a moment, that was pretty cool: a real-time revolution in earthquake science. Almost immediately, though, it became extremely uncool, because Goldfinger and every other seismologist standing outside in Kashiwa knew what was coming. One of them pulled out a cell phone and started streaming videos from the Japanese broadcasting station NHK, shot by helicopters that had flown out to sea soon after the shaking started. 30 minutes after Goldfinger first stepped outside, he watched the tsunami roll in, in real time, on a two-inch screen. In the end, the magnitude-9.0 Tohoku earthquake and subsequent tsunami killed more than 18,000 people, devastated northeast Japan, triggered the meltdown at the Fukushima power plant, and cost an estimated 220 billion dollars. The shaking earlier in the week turned out to be the foreshocks of the largest earthquake in the nation’s recorded history. But for Chris Goldfinger, a paleoseismologist at Oregon State University and one of the world’s leading experts on a little-known fault line, the main quake was itself a kind of foreshock: a preview of another earthquake still to come. Just north of the San Andreas, however, lies another fault line. Known as the Cascadia subduction zone, it runs for 700 miles off the coast of the Pacific Northwest, beginning near Cape Mendocino, California, continuing along Oregon and Washington, and terminating around Vancouver Island, Canada. The “Cascadia” part of its name comes from the Cascade Range, a chain of volcanic mountains that follow the same course a hundred or so miles inland. The “subduction zone” part refers to a region of the planet where one tectonic plate is sliding underneath (subducting) another. Tectonic plates are those slabs of mantle and crust that, in their epochs-long drift, rearrange the earth’s continents and oceans. Most of the time, their movement is slow, harmless, and all but undetectable. Occasionally, at the borders where they meet, it is not. Flick your right fingers outward, forcefully, so that your hand flattens back down again. When the next very big earthquake hits, the northwest edge of the continent, from California to Canada and the continental shelf to the Cascades, will drop by as much as 6 feet and rebound 300 to 100 feet to the west—losing, within minutes, all the elevation and compression it has gained over centuries. Some of that shift will take place beneath the ocean, displacing a colossal quantity of seawater. (Watch what your fingertips do when you flatten your hand.) The water will surge upward into a huge hill, then promptly collapse. In the Pacific Northwest, everything west of Interstate 5 covers some hundred and forty thousand square miles, including Seattle, Tacoma, Portland, Eugene, Salem (the capital city of Oregon), Olympia (the capital of Washington), and some 7 million people. When the next full-margin rupture happens, that region will suffer the worst natural disaster in the history of North America. Roughly 3,000 people died in San Francisco’s 1906 earthquake. Almost 2,000 died in Hurricane Katrina. Almost 300 died in Hurricane Sandy. FEMA projects that nearly 13,000 people will die in the Cascadia earthquake and tsunami. Another 27,000 be injured, and the agency expects that it will need to provide shelter for a million displaced people, and food and water for another two and a half million. “This is one time that I’m hoping all the science is wrong, and it won’t happen for another thousand years,” Murphy says. In fact, the science is robust, and one of the chief scientists behind it is Chris Goldfinger. Thanks to work done by him and his colleagues, we now know that the odds of the big Cascadia earthquake happening in the next 50 years are roughly one in three. The odds of the very big one are roughly one in ten. Even those numbers do not fully reflect the danger—or, more to the point, how unprepared the Pacific Northwest is to face it. The truly worrisome figures in this story are these: Thirty years ago, no one knew that the Cascadia subduction zone had ever produced a major earthquake. Forty-five years ago, no one even knew it existed. What killed the trees in the ghost forest was saltwater. It had long been assumed that they died slowly, as the sea level around them gradually rose and submerged their roots. 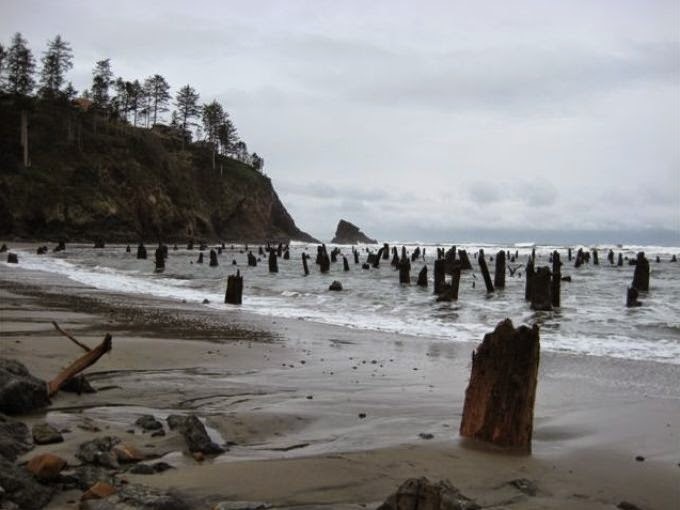 But, by 1987, Atwater, who had found in soil layers evidence of sudden land subsidence along the Washington coast, suspected that was backward—that the trees had died quickly when the ground beneath them plummeted. To find out, he teamed up with Yamaguchi, a specialist in dendrochronology, the study of growth-ring patterns in trees. Yamaguchi took samples of the cedars and found that they had died simultaneously: in tree after tree, the final rings dated to the summer of 1699. Since trees do not grow in the winter, he and Atwater concluded that sometime between August of 1699 and May of 1700 an earthquake had caused the land to drop and killed the cedars. That time frame predated by more than a hundred years the written history of the Pacific Northwest—and so, by rights, the detective story should have ended there. But it did not. If you travel 5,000 miles due west from the ghost forest, you reach the northeast coast of Japan. As the events of 2011 made clear, that coast is vulnerable to tsunamis, and the Japanese have kept track of them since at least 599 A.D. In that 1,400-year history, one incident has long stood out for its strangeness. On the eighth day of the twelfth month of the twelfth year of the Genroku era, a 600-mile-long wave struck the coast, levelling homes, breaching a castle moat, and causing an accident at sea. The Japanese understood that tsunamis were the result of earthquakes, yet no one felt the ground shake before the Genroku event. The wave had no discernible origin. When scientists began studying it, they called it an orphan tsunami. Finally, in a 1996 article in Nature, a seismologist named Kenji Satake and three colleagues, drawing on the work of Atwater and Yamaguchi, matched that orphan to its parent—and thereby filled in the blanks in the Cascadia story with uncanny specificity. At approximately nine o’ clock at night on January 26, 1700, a magnitude-9.0 earthquake struck the Pacific Northwest, causing sudden land subsidence, drowning coastal forests, and, out in the ocean, lifting up a wave half the length of a continent. It took roughly 15 minutes for the Eastern half of that wave to strike the Northwest coast. It took 10 hours for the other half to cross the ocean. It reached Japan on January 27, 1700: by the local calendar, the eighth day of the twelfth month of the twelfth year of Genroku. The first sign that the Cascadia earthquake has begun will be a compressional wave, radiating outward from the fault line. Compressional waves are fast-moving, high-frequency waves, audible to dogs and certain other animals but experienced by humans only as a sudden jolt. They are not very harmful, but they are potentially very useful, since they travel fast enough to be detected by sensors 30-90 seconds ahead of other seismic waves. That is enough time for earthquake early-warning systems, such as those in use throughout Japan, to automatically perform a variety of lifesaving functions: shutting down railways and power plants, opening elevators and firehouse doors, alerting hospitals to halt surgeries, and triggering alarms so that the general public can take cover. The Pacific Northwest has no early-warning system. When the Cascadia earthquake begins, there will be, instead, a cacophony of barking dogs and a long, suspended, what-was-that moment before the surface waves arrive. Surface waves are slower, lower-frequency waves that move the ground both up and down and side to side: the shaking, starting in earnest. Across the region, other, larger structures will also start to fail. Until 1974, the state of Oregon had no seismic code, and few places in the Pacific Northwest had one appropriate to a magnitude-9.0 earthquake until 1994. The vast majority of buildings in the region were constructed before then. Ian Madin, who directs the Oregon Department of Geology and Mineral Industries (DOGAMI), estimates that 75% of all structures in the state are not designed to withstand a major Cascadia quake. FEMA calculates that, across the region, something on the order of a million buildings—more than 3,000 of them schools—will collapse or be compromised in the earthquake. So will half of all highway bridges, fifteen of the seventeen bridges spanning Portland’s two rivers, and two-thirds of railways and airports; also, one-third of all fire stations, half of all police stations, and two-thirds of all hospitals. Certain disasters stem from many small problems conspiring to cause one very large problem. For want of a nail, the war was lost; for fifteen independently insignificant errors, the jetliner was lost. Subduction-zone earthquakes operate on the opposite principle: one enormous problem causes many other enormous problems. The shaking from the Cascadia quake will set off landslides throughout the region—up to 30,000 of them in Seattle alone, the city’s emergency-management office estimates. It will also induce a process called liquefaction, whereby seemingly solid ground starts behaving like a liquid, to the detriment of anything on top of it. 15% per cent of Seattle is built on liquefiable land, including seventeen day-care centers and the homes of some thirty-four thousand five hundred people. So is Oregon’s critical energy-infrastructure hub, a six-mile stretch of Portland through which flows ninety per cent of the state’s liquid fuel and which houses everything from electrical substations to natural-gas terminals. Together, the sloshing, sliding, and shaking will trigger fires, flooding, pipe failures, dam breaches, and hazardous-material spills. Any one of these second-order disasters could swamp the original earthquake in terms of cost, damage, or casualties—and one of them definitely will. Four to six minutes after the dogs start barking, the shaking will subside. For another few minutes, the region, upended, will continue to fall apart on its own. Then the wave will arrive, and the real destruction will begin. Those who cannot get out of the inundation zone under their own power will quickly be overtaken by a greater one. A grown man is knocked over by ankle-deep water moving at 6.7 miles an hour. The tsunami will be moving more than twice that fast when it arrives. Its height will vary with the contours of the coast, from 20 feet to more than 100 feet. 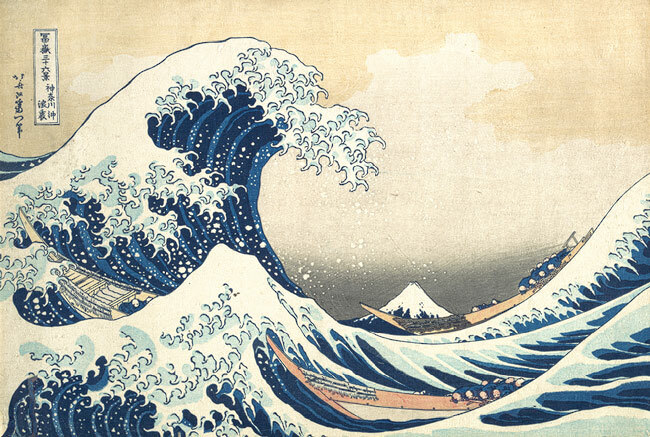 It will not look like a Hokusai-style wave, rising up from the surface of the sea and breaking from above. It will look like the whole ocean, elevated, overtaking land. Nor will it be made only of water—not once it reaches the shore. It will be a 5-storey deluge of pickup trucks and doorframes and cinder blocks and fishing boats and utility poles and everything else that once constituted the coastal towns of the Pacific Northwest. Wineglasses, antique vases, Humpty Dumpty, hip bones, hearts: what breaks quickly generally mends slowly, if at all. OSSPAC estimates that in the I-5 corridor it will take between 1 and 3 months after the earthquake to restore electricity, a month to 1 year to restore drinking water and sewer service, 6 months to a year to restore major highways, and 18 months to restore health-care facilities. On the coast, those numbers go up. Whoever chooses or has no choice but to stay there will spend three to six months without electricity, one to three years without drinking water and sewage systems, and three or more years without hospitals. Those estimates do not apply to the tsunami-inundation zone, which will remain all but uninhabitable for years. The last person I met with in the Pacific Northwest was Doug Dougherty, the superintendent of schools for Seaside, which lies almost entirely within the tsunami-inundation zone. Of the four schools that Dougherty oversees, with a total student population of sixteen hundred, one is relatively safe. The others sit five to 15 feet above sea level. When the tsunami comes, they will be as much as 45 feet below it. Some of them, however, will not be able to do so. At an elementary school in the community of Gearhart, the children will be trapped. “They can’t make it out from that school,” Dougherty said. “They have no place to go.” On one side lies the ocean; on the other, a wide, roadless bog. When the tsunami comes, the only place to go in Gearhart is a small ridge just behind the school. At its tallest, it is 45 feet high—lower than the expected wave in a full-margin earthquake. For now, the route to the ridge is marked by signs that say “Temporary Tsunami Assembly Area.” I asked Dougherty about the state’s long-range plan. “There is no long-range plan,” he said. 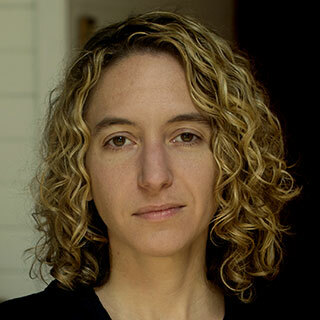 Kathryn Schulz joined The New Yorker as a staff writer in 2015. Previously, she was the book critic for New York, the editor of the environmental magazine Grist, and a reporter and editor at the Santiago Times. She was a 2004 recipient of the Pew Fellowship in International Journalism and has reported from Central and South America, Japan, and the Middle East. She is the author of “Being Wrong: Adventures in the Margin of Error” (2010). Share with as many people especially people living in the Pacific Northwest of USA and Vancouver – it will save lives. At least it would teach you how to prepare for the Really Big One when it comes. Since 1960 in the last 55 years, there were 4 “big ones” 9 and above magnitude earthquakes. All were subduction earthquake-tsunami including Chile 1960 (9.5), Alaska 1964 (9.2), Indonesia 2004 (9.1), and Japan 2011 (9.0). The 5th Big One I saw in a vision is the unknown Cascadia Earthquake-Tsunami. I saw a vision of Big One Earthquake-Tsunami hitting Pacific NorthWest and California from Brenda who is my Twin-Soul and guardian angel. For some reason I saw the Big One vision through a pair of Native American eyes. Brenda have been giving me afterlife signs about this Big One since April 2015. I have already started warning people including my good friend and business partner, Craig Santy about this since his homebase is in Los Angeles. To get a clear afterlife signs from Brenda only means it will be “relatively” soon, definitely within the next 5-10 years. 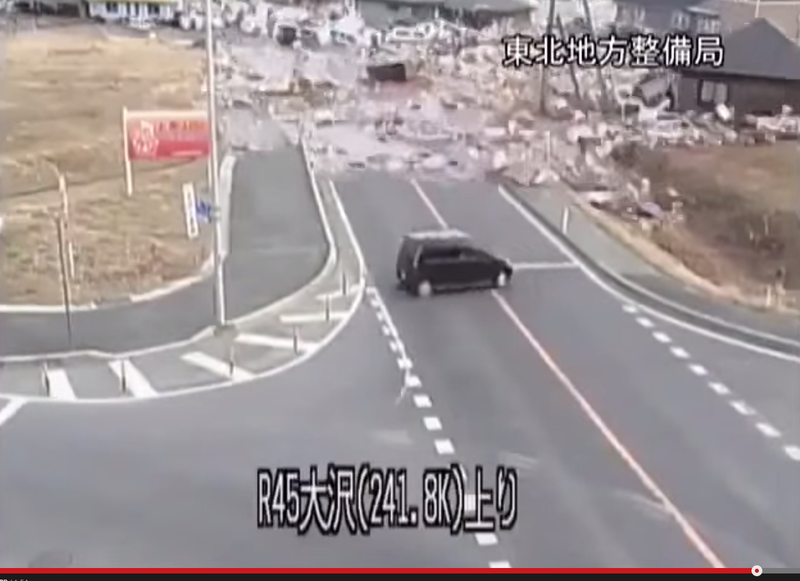 This footage show how tsunami starts slow and then whole buildings were uprooted in just 10 minutes.